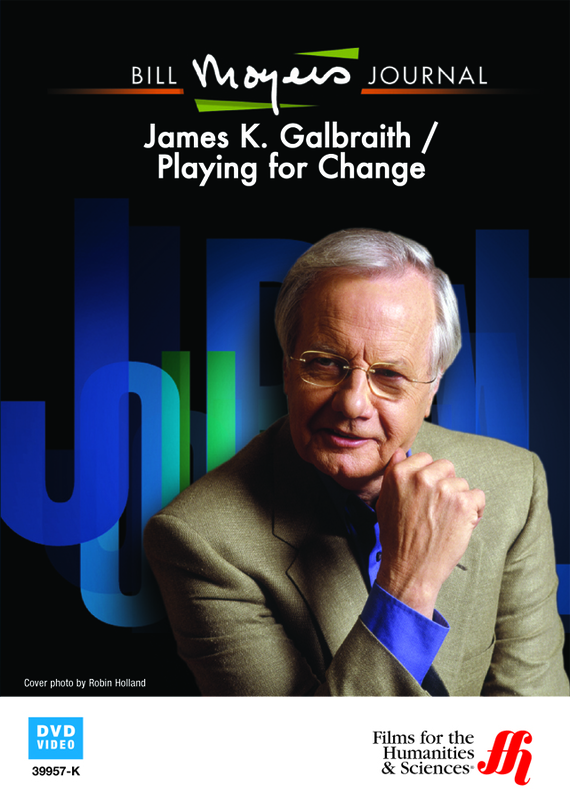 Journalist Bill Moyers interviews economist James K. Galbraith about the state of the American economy following the late 20th century Recession, followed by a talk with filmmaker Mark Johnson about his documentary Playing for Change: Peace Through Music. Audiences know Bill Moyers’ interviews for their penetrating analysis. This trait has won the journalist acclaim over the years. In this episode, Moyers does not let viewers down. He interviews famous economist James K. Galbraith, a Professor at the highly acclaimed University of Texas at Austin. The Galbraith name is familiar to most students of economics, largely because his father, John Kenneth Galbraith, was one of the leading thinkers on 20th century liberal money policy. Moyers and Galbraith speak on the recessions and subsequent bailout of Wall Street banks. Galbraith believes that history could be repeating itself. There are similarities between the financial problems of contemporary society and those that led to the Great Depression. Most prominent of these parallels is the lack of regulation by the authorities. In both cases, leaders knew of the underlying questionable tactics of the banks, but did nothing, offers the guest. In the second part of the broadcast, Moyers holds a conversation with filmmaker Mark Johnson on his documentary Playing for Change: Peace Through Music. Johnson traveled the world, recording musicians playing well-known tracks, such as Bob Marley’s "One World." The film complies all of these over 100 performances, creating a moment in which the musicians all play together, yet apart. In sum, the film, as Moyers enlightens the audience, speaks to the power of music to unite an often-separated humanity.